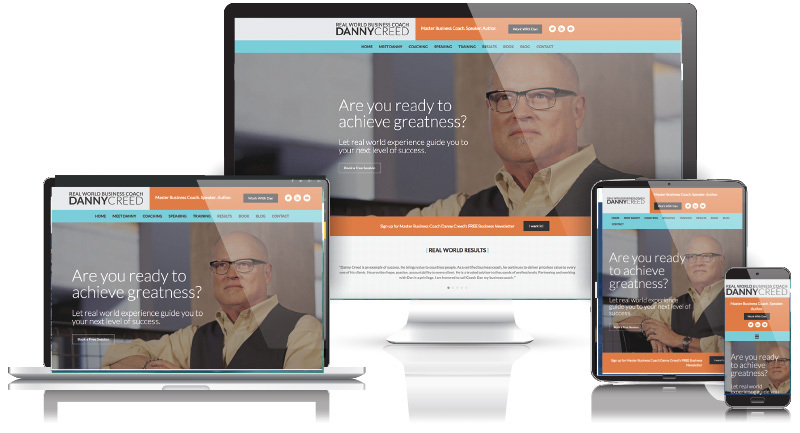 When Real World Business Coach Danny Creed came to us, his coaching website had a good foundation but was poorly organized, inconsistent in style, and did not focus on engaging prospective clients. We worked closely with Danny to fully understand his business and his ideal customer, as well as doing extensive up front discovery work to define the goals for the website and ascertain the best channels and outlets to accomplish those goals. The resulting updated website not only maintains Danny’s existing brand, but it conveys his skills and expertise much better than the previous site. We also showcased Danny’s success stories – which are impressive! – in a more significant way and ensured that the user experience and calls to action were optimal. In the time since we’ve launched the site, Danny has realized multiple new clients in his target market as a result of our efforts.